Holiday shoppers at the Aventura Mall in Florida who thought police officers were swooping in to disrupt a dance performance were pleasantly surprised when it turned out the cops were actually part of the routine. 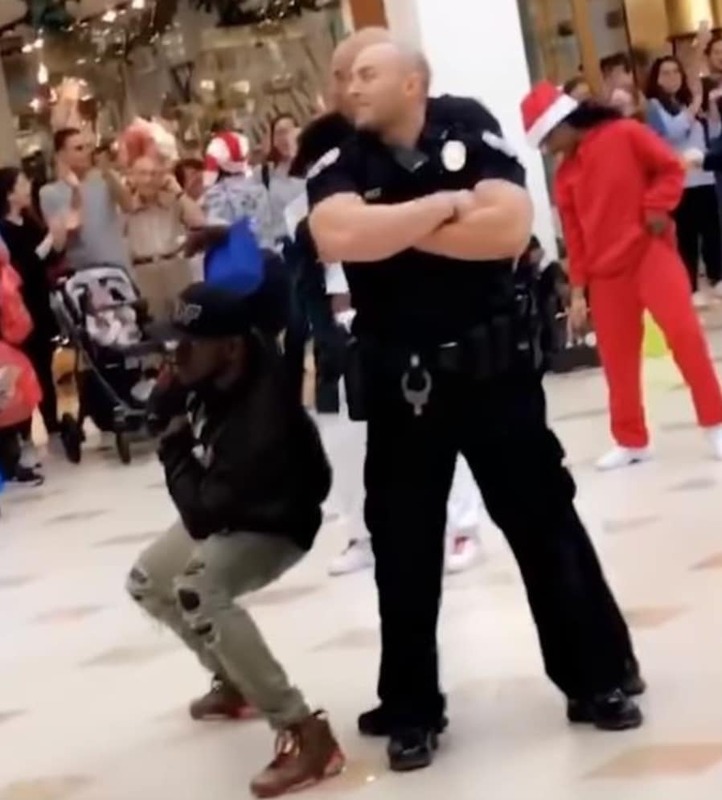 According to CBS Miami, a crowd of cheering spectators watching a flash mob dance inside the mall, quickly started boo’ing when two officers walked stepped in to seemingly interrupt the dancers. Yet the audience was audibly shocked and delighted once they realized Aventura Police Department Officers Chris Gatti and Manny Gonzalez were actually joining the choreographed dance routine and guest performers. The dance crew, now identified as members of Sean’s Dance Factory in West Palm Beach, were performing a routine choreographed by founder Sean Green. According to the Daily Voice, the officers worked with the award-winning dance company to create of community and joy right in time for the holidays. “How we do community policing in the city of excellence,” explains officer Gatti, who transferred to the Aventura Police Department in May.